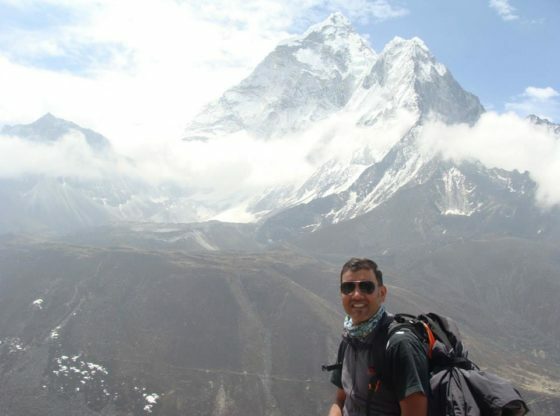 Featured in Life Beyond Numbers – Vikas Dimri – The Ordinary Man Who Wants To Conquer The Mt. Everest And Support The Less Privileged. Home /Featured, Mt. 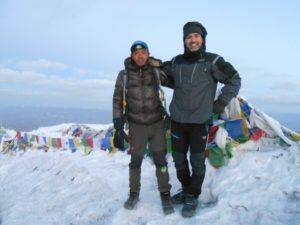 Everest/Featured in Life Beyond Numbers – Vikas Dimri – The Ordinary Man Who Wants To Conquer The Mt. Everest And Support The Less Privileged. Today, India is an amalgamation of small town people brought up with middle-class values, leading an affluent lifestyle in developed cities. Our parents believed academic education is the key to a good life; thus worked hard and inspired us to follow them. A regular Indian parent during 80’s and 90’s believed Engineering, Medical and MBA were supposed to be the preferred academic option for their children. Vikas Dimri came from the same pocket like most of us. Currently, the Vice President and Business Head – SME, Trade and Working Capital in Deutsche Bank AG India, Vikas Dimri grew up in a Garhwali family in Baroda, Gujarat. He was a regular boy with love for sport. Being a conventional Indian boy, he picked up football and cricket, as after-school favorites. He stood up to his parents’ expectation; studied well securing good grades. Not so surprisingly, he became an Electrical Engineer and later added an MBA besides his name. The next 10 years went by in a flash. Like the rest of his generation, he multiplied his corporate working hours and the result was a peak in his career graph. He spent 10-12 hours at work – sometimes more, 6 days a week, totally focused on giving his best shot at work. In short, he was doing great in life – earning well, and successfully climbing the corporate ladder. But living a busy and unhealthy lifestyle. However, things changed when his brother went through a heart ailment at a very young age. It was a wake-up call for him to rethink his routine. The childhood passion for sports and energy needed to be reconsidered by the body. Vikas always had the drive to cross the finish line. Sales, as you know it, is a challenging career profile and not everyone’s cup of tea. Quite interestingly, Vikas enjoys sales. “I have always been in sales, as I like working in a highly competitive, performance driven environment. It’s something that keeps me going. I enjoy the challenge of setting benchmarks, surpassing them and setting new goals again. It is perhaps my desire to raise the bar and test my limits by aiming the infinite open sky every time”, he says. Since Vikas was a target oriented man, who enjoyed testing his limits, has decided to take up a new personal challenge. This time his focus was to be fit. Initially, he started off improving his food habits. He was conscious of both, the quality and quantity of food. Once he began to feel fit, he pondered on the thought of playing a sport. He decided to pick up the squash racket. Next in line for the banker was to take up trekking and running. By now he was enjoying his health and habits. He was feeling the difference. “Playing a sport is the easiest way to get fit. Playing football, cricket, badminton, squash or tennis, is relatively easy. It does not feel like an effort and the process is enjoyable. Moreover, it not only makes your body fitter but also keeps the mind sharper! It’s easier to take to fitness when you’re younger. It takes a lot more effort when you get older”, he said. 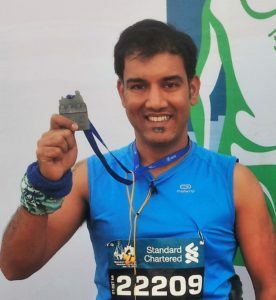 Vikas had never run even 2-3KM at a stretch, but with rigorous training, was able to complete his 1st Half Marathon in 2012. Then, there was no looking back. He went on to explore new terrains. He had always had a love for mountains, so he started trekking and mountaineering as well. He ticked off from his wish list the following – Roopkund, Pangarchulla, Dodital, Gaumukh, etc. 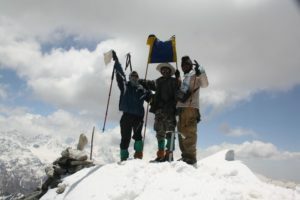 In September 2016, Vikas Dimri planted his flag at Stok Kangri(6135 Mts). Completing multiple marathons and being an experienced mountaineer he is now all set to claim the Mount Everest in April 2017. “And what can be more extraordinary than reaching out and climbing the highest mountain on earth”, says the Dimri. With 66% lesser oxygen, one-third the atmospheric pressure of sea level, wind speeds rivaling hurricane speeds going up to 200 mph and temperatures as low as -40 degrees centigrade, Mount Everest is one of the most inhospitable places on earth. The availability of atmospheric oxygen and the atmospheric pressure are so low that human life cannot sustain for more than 24-36 hours. The human body starts to deteriorate rapidly because of the lack of plasma that makes the blood thicker, and the lack of red blood cells carrying oxygen to the muscles including the heart and lungs. It is therefore not surprising that the mortality rate among the climbers of Mount Everest is around 4% – higher than any other sport or activity. Mount Everest may sound good as an achievement. However, the road to achievement not only has challenging topography and weather but also requires perseverance to sustain good health in extreme conditions. Most people who survive come back with frost-bitten fingers and toes that need to be amputated. Vikas is also following a strict diet in order to make him fit for the climb and even working out on Sundays! Imagine waking up early on a Sunday morning after a rigorous work week. Sounds impossible? It is for the ordinary ones like us. For us, Sunday means sleep, food, fun, movies etc. Vikas’s idea of fun and relaxation on a Sunday is definitely extraordinary – Waking up at 5.30, going on a 15 to 20-kilometer run and core training. A coffee lover trivia from Vikas – drinking coffee is a great way to acquire muscle recovery. ‘I take 1-2 cups of coffee regularly. I take my coffee black and without sugar’, he says. In addition, this extraordinary gentleman doesn’t want to climb the peak alone. He wishes to hold hands of the little kids on streets and make them reach the peak of joy. Vikas is associated with three distinguished organizations working towards the upliftment of the less privileged. In his mission to the Mount Everest, he is carrying three projects in his rucksack. He appeals one and all to contribute to the causes he believes needs exposure. Kids in rural India struggle to manage the basic necessity of footwear, even as they walk across tough terrain & roads. They reach schools crossing the rivers and walking valleys with no shoes. Vikas came across numerous such kids during his treks and climbs. The fortunate and the privileged do not have to worry about their soles. They get a new pair whenever they need. Most often, they get a new pair even before they outgrow the old one. Living in Mumbai he saw an opportunity to collect discarded pairs of shoes in good conditions and carry them to the kids he meet in remote India. 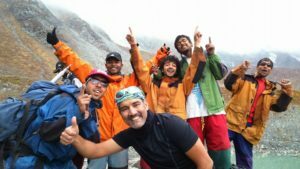 “Together we wish to conquer The Everest with our Happy Feet!” says Vikas. To know how you can help the “Happy Feet” mission, click here. This man of mountains is now also a man climbing towards electrification of the hills in North East India. “Batti Project” – an initiative towards rural solar electrification by ‘Further and Beyond’. This project runs on crowd funding. Under the initiative of the makers of the project every year they come up with innovative techniques to collect funds. With the collected sum, a team with help of locals set up electrification units and educates the villagers on the usage. Batti Project, for last six years, has lit up 248 homes and they plan to spread light all across the region. Vikas is glad to be associated to raise awareness and generate funds for the cause. Batti team in collaboration with Vikas wishes to accumulate maximum funds to illuminate more homes in the hills. To make a contribution to “Batti Project”, click here. They say you can never take Mumbai out of a Mumbaiker. No matter how many territories he explored Vikas is a Mumbaiker at heart. Mumbai as a city gives so much to the dreamers that they often want to give back. Vikas wishes to do just the same and is also giving all an opportunity to give back. Vikas Dimri has collaborated with Mumbai Mobile Creches (MMC), a 44-year-old NGO who has been specifically supporting the health, education, and safety of children of construction laborers. 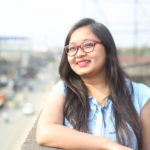 They run day care centers, which have reached out to over 100,000 children across 270 construction sites in Mumbai, Navi Mumbai, and Thane in the past four decades. MMC provides well-balanced meals including fruits, to children every day. Vikas Dimri is seeking the support of the crowd to fund the “Fruits” in their meals. To make a contribution to this “Child Nutrition” mission, click here. ‘All of us are ordinary until the day we decide to make a difference’. We can’t blame others for the undone. Vikas taught us that we need to raise ourselves, fight our limits, think and believe in ourselves and work together towards a better tomorrow. There may be boundaries and limits, but if we set our eyes on the goal nothing is impossible. A banker from Mumbai is today an example – how he wishes to light the remotest Arunachal Pradesh, feed the little ones and keep their feet safe, so that tomorrow another Vikas Dimri can aim for the Mt. Everest. We all should be proud that we belong to a generation of men like Vikas Dimri, who dreams high and works hard to fulfill the needs of one and all. Kuhipaat is supporting Vikas to conquer the Mt. Everest; providing communication and technological platform powering the digital campaign for the climb and its social causes. For any further information and contribution, please visit Vikas Dimri’s site.